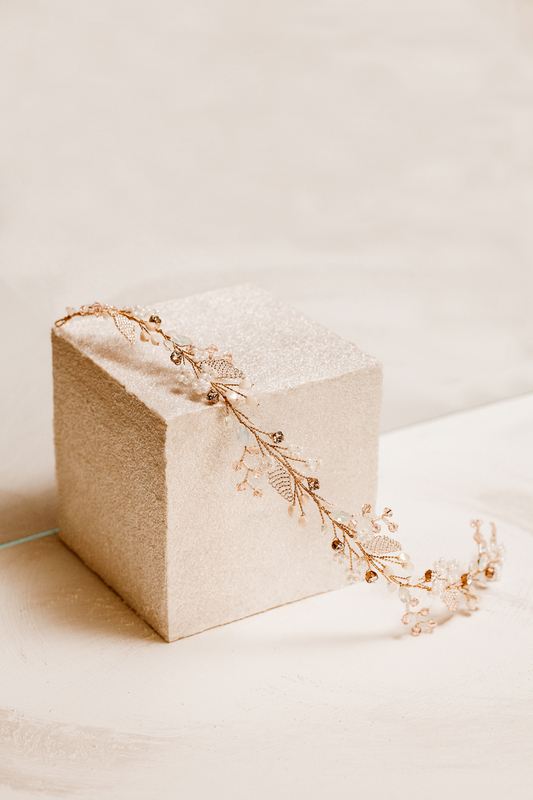 Gathering our beautiful elements into this twine was so rewarding as we see our Leafed Amsonia Drops becoming one of the best sellers of this season. 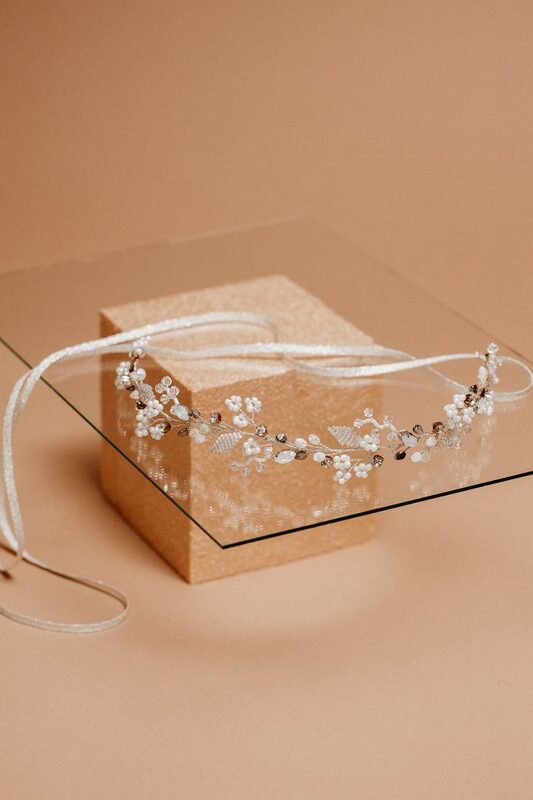 Swarovski elements, glass beads and leaves, romantic elements that will enhance the beauty of your hairdo bringing drops of sparkle into the chosen look. It comes with silken ribbons for a perfect fastening.